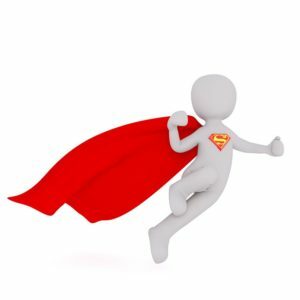 Home / SQL Server / If you want to be a DBA super hero, read this! If you want to be a DBA super hero, read this! This is a book review of ‘SQL Queries for Mere Mortals: A Hands-On Guide to Data Manipulation in SQL, 4th Edition’. This book’s 4th edition published in 2018 is a monster at 930 pages while the 2000 edition of the book was a meager 492 pages. One reason for the huge size increase is 2 new chapters that have been added in the 4th Edition of the book. One of the new chapters discusses updating sets of data by using GROUP BY keywords to create subtotals, roll-ups, etc. The other new chapter solves tough problems by using window functions. Inside the book, there is info on how to download bonus content from the web. Included in the bonus content is downloadable sample databases for Microsoft Office Access, Microsoft SQL Server, MySQL and PostgreSQL. Each product has downloadable backups or scripts for 5 unique databases: School Scheduling, Sales Orders, Recipes, Entertainment Agency, and Bowling League. You will also find entity relationship diagrams, schema, scripts to create databases and SQL code. SQL solutions using the latest syntax. ‘SQL Queries for Mere Mortal’ is a book that should be considered for your SQL reference library. Alas poor SQL Server 2018 where are you? Free is Awesome! Right DBAs?